After hefty promotion in The Telegraph on Saturday, Amazon sold out (but that has been sorted out by now I dare say), and when I last looked it was at no. 2 on their ‘homes and gardens bestseller‘ list (no. 1 being a Kindle book which, as someone Really Important in publishing (I daren’t say who) said, ‘doesn’t really count’). Anyway, I’ve got various speaking and Q & A sessions coming up and will endeavour to keep a supply of books with me, both RHS Grow Your Own Flowers and Thorny Problems. The following are the more ‘horticultural’ events (there are one or two ticket-only charity things, and I don’t think the organizers would thank me for mentioning them at this late date because I think tickets are all sold). 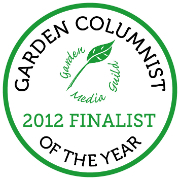 Tomorrow (Friday 11th March) I shall be answering questions (with the fab and famous Fergus Garrett and Stephanie Donaldson) in Hastings at a Gardeners’ Question Time organized by the Lower Torfield Allotment Association – 7pm in All Saints Hall, All Saints Street, Hastings. On March 16th I shall be doing a talk on ‘Downsizing’ – an upbeat PowerPoint saga of my change of horticultural circumstances – in Framfield Hall, Framfield, East Sussex starting at 7 pm. On March 24th at 7.30 pm I shall be talking to the members of an organisation called ‘Beautiful Battle‘ in Battle Memorial Hall which is, yes you guessed, in Battle, East Sussex. On March 26th I will be doing a ‘Thorny Problems Live’ session for the Dorset Hardy Plant Society at Colehill Memorial Hall BH21 2LS, at 2 pm. April gets really busy, starting with talks at Barnsley House in Gloucestershire (April 1), a booksigning at Wisley (April 3) and another ‘Downsizing’ session for the Chelsea Gardeners Guild (April 6). I will post more details of these later. This is, I fully acknowledge, a VERY BORING POST – but Henry (my son) told me I absolutely had to do it. Blah blah Henry, since when did you give your mother orders….? 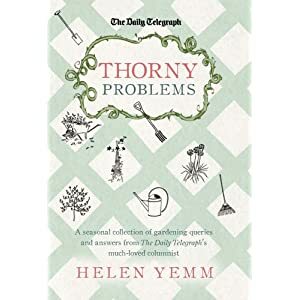 This entry was posted on Thursday, March 10th, 2011 at 7:09 pm and is filed under RHS grow your own flowers, Thorny Problems book. You can follow any responses to this entry through the RSS 2.0 feed. You can leave a response, or trackback from your own site. Congratulations on the successful launch of your book, Helen. Cry ‘God for Harry, England and Saint George’ – and when you’ve done that, why not buy one or two of Phillips and Rix’s books? – they’re brilliant and great value. Thanks from me too -have you tried P & R’s books? – they’re fab. 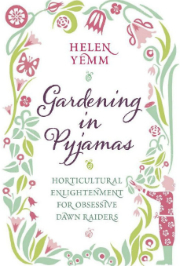 I don’t but many gardening books now as I have far too many… But yours will be on my wish list. Have to send a note to hubby about it. Of course Henry is right. And now you forgot to say you are talking at The Cottesbrooke Hall Plant Finders Fair in Northampton on June 25 & 26, 2011. Tsk, tsk!